The Australian IPA offered by Hop Nation Brewing Co. misses the mark on this occasion, but still a decent beer to tantalise the tastebuds. The Bad: Firstly the smell is somewhat metallic which the aftertaste does highlight similar notes. Upon opening the first thing I noticed was how distinctly unlike an IPA it smelt. 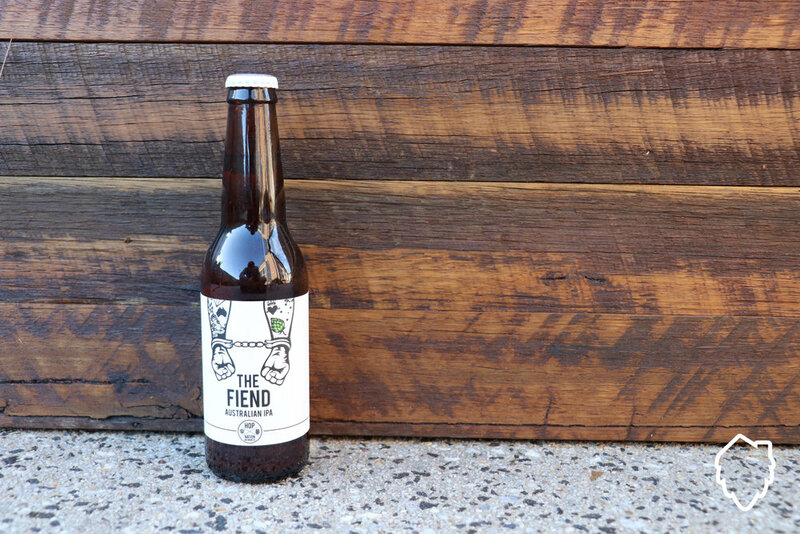 I mean a really good IPA is one that smells full bodied (you can smell the hops, aromas of associated with the type of hop you usually see in an IPA, as well as the malt and any other additives in a good IPA), The Fiend was one that didn’t really hit the mark but missed it, even for an Australian IPA. Enjoyment: After the experience I had with The Buzz American Red I was a little bit disappointed with this beer. I mean I am aware that they are two very different styles, however the reality is that I was expecting a truly awesome beer from Hop Nation with this one (given I do love an IPA, especially ones that can be a good session beer!). Regardless of this fact it is an above average Australian IPA, but it is not one that will make it into my coveted beer fridge as a returning customer.